This sounds absolutely ridiculous in the best possible way...!! Unfortunately i’ll have to pass (dairy,ugh) but I’m wondering how you baked it? Is there an oven on thr Rv or you used a toaster oven? 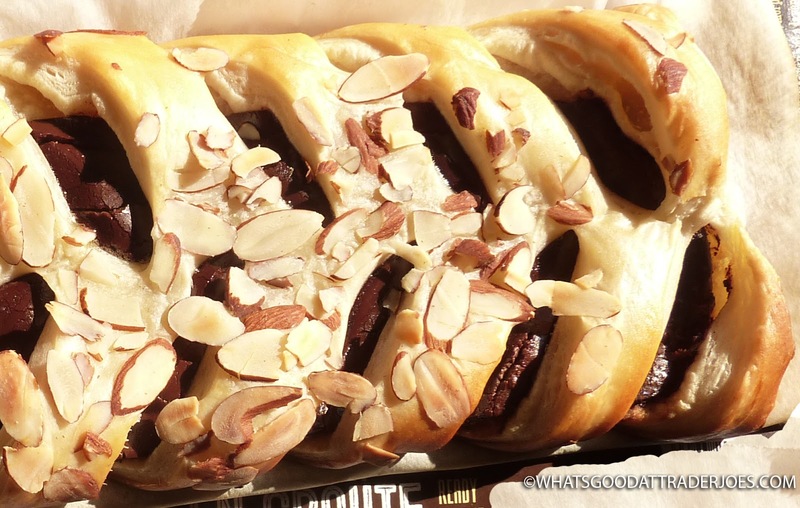 It sounds very rich and similar to a chocolate croissant just in a different shape. Yep, there's a regular oven powered by propane and the microwave doubles as a convection oven. We used the traditional oven around 350-375 degrees and for once the baking time was about what the box suggested: 45 minutes. Would have been nice if they used hazelnut for the filling. How about Bavarian cream? Hazelnut and Bavarian cream would be great! Alas, I went to my nearest TJs a couple days after you posted, and not only were they not pushing this for Valentines Day, but they told me it was a seasonal product whose season (early winter) had passed. Next year, I guess!